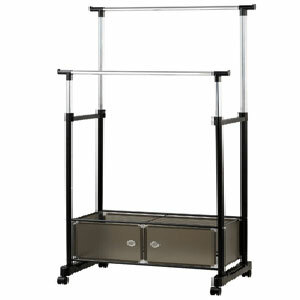 Heavy Duty Garment Rack with Storage. Comes with two adjustable poles. 4-Wheels for easy moving. Some assembly required.